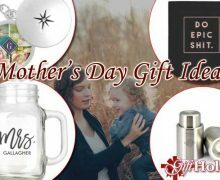 Mother’s Day is less than a week away and if you’re still looking for last minute gift ideas specifically for first time moms then we are definitely here to help you out! 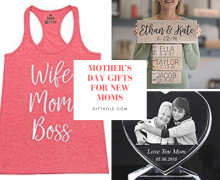 We broke down this Mother’s Day Gift Ideas For New Moms into two parts – generic gifts that anyone can get new moms and gifts the new dad can get for them to make it a little easier (particularly for the new dads). Bring the spa and relaxation to her! These bath bombs are a great stress reliever, helps with dry skin and she’ll enjoy the relaxation with every bath she takes! More than likely she hasn’t really had time to dine out, especially at one of her favorite restaurants since she’s a new mom, so I’m sure she’ll be so happy if you brought her favorite meal to her! Make sure she has a good sense of humor before you get her this book. If she does, she’ll probably laugh uncontrollably and it’ll be great for her and her husband! She’s going to need and want this sign especially when she needs her own personal time alone. 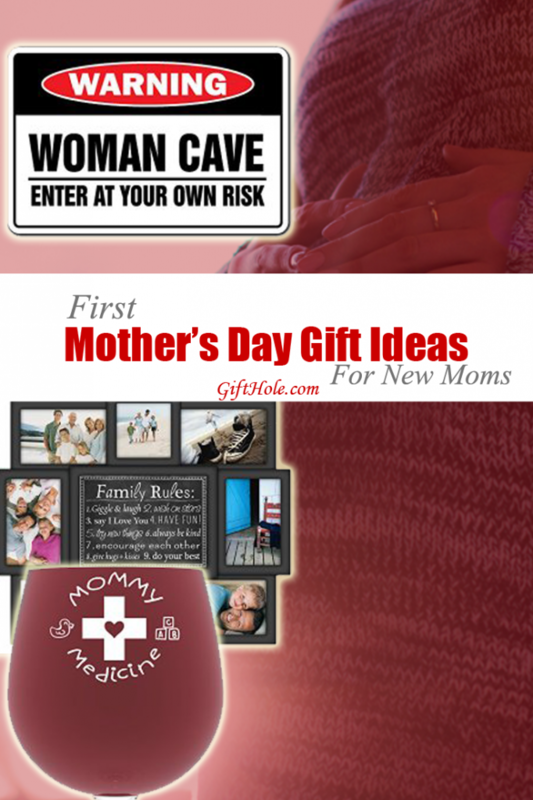 Plus, what mom doesn’t want her own woman cave sign? Give her time to herself to relax, unwind so she doesn’t have to worry about a thing. Take care of any chores, cooking, when the baby needs attention, etc. Surprise her with breakfast in bed! But just remember to let her sleep in because we’re sure any new moms could use that extra rest! You guys have probably taken tons of pictures of your newborn already so why not make it extra special with foot and hand imprints with a picture of your child. She’ll love it! Babies change so much especially in the first couple of years so putting together a collage from when he/she were born until the present day would be something she would cherish. The image above is this Collage Black Picture Frame . Did she want to go to a wine tasting but couldn’t? Maybe she wanted to attend an upcoming comedy show she’s never been to before? Whatever it is, you should know and treat her to whatever it is. Grab a babysitter and take her or offer to take care of the baby while she goes with her friends. Personalize a necklace with the birthstone of your baby so she can wear it wherever she goes. She’ll love it, especially when you personalize it specific for her. She’ll think you’re thoughtful because you are! 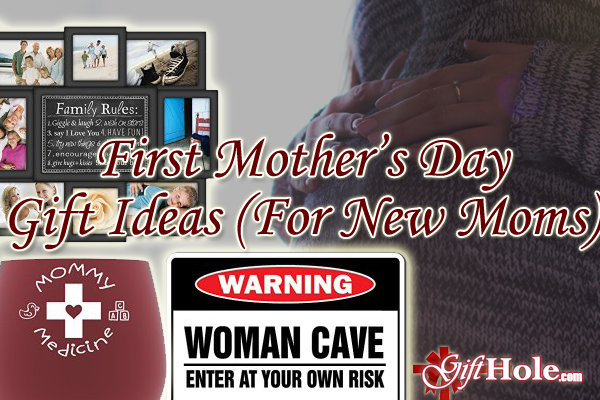 There are just so many last minute Mother’s Day gift ideas out there. 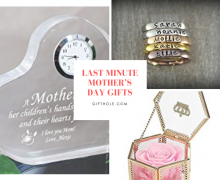 In case you’re looking for more Mother’s Day gift ideas, check out Gifts for Grandma on Mother’s Day and Last Minute Mother’s Day Gift Ideas.